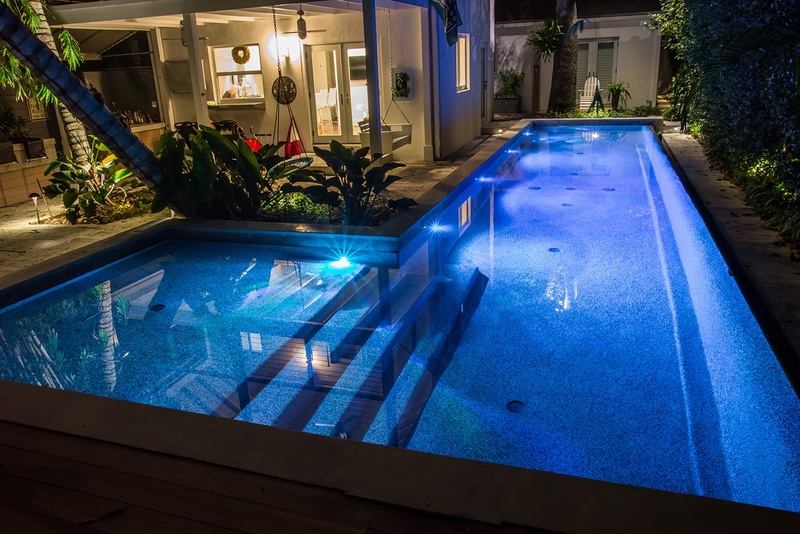 If you have traditional incandescent pool lighting now and are considering an upgrade to LED pool lighting, read on for how products from suppliers like Pentair and Jandy. 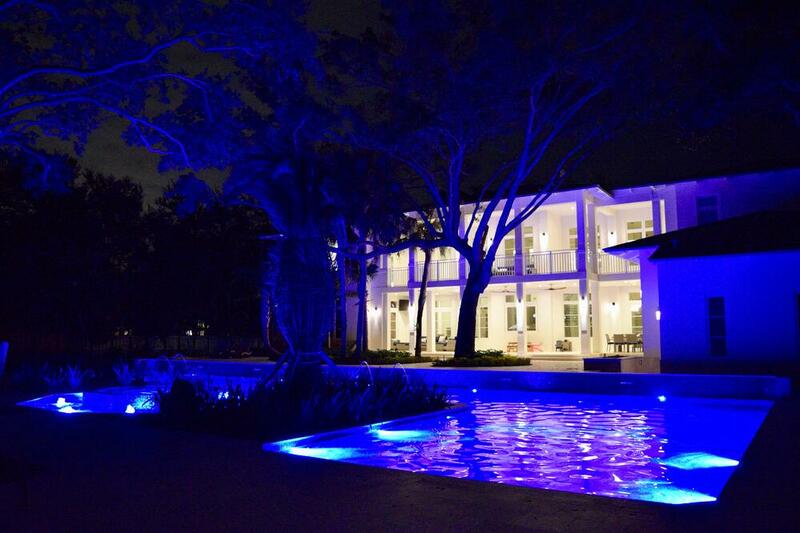 We work closely with the pool and spa industry’s best so we can give our clients the latest pool and spa lighting. Ultimately, pool lighting can add sophistication, fun and beauty to your outdoor living space. Check out these five pool lighting ideas that will wow your guests and make your pool a dynamic, attractive entertainment area. LED lighting is installed in the pool coping or in pipes to diffuse a wash of color over the pool. Lights come in vibrant colors—red, magenta, blue, white, green. LED pool and spa lights are energy efficient, so while the initial cost might be more than incandescent lighting, you’ll save money in the long-run. You can change the colors by selecting one or several hues. 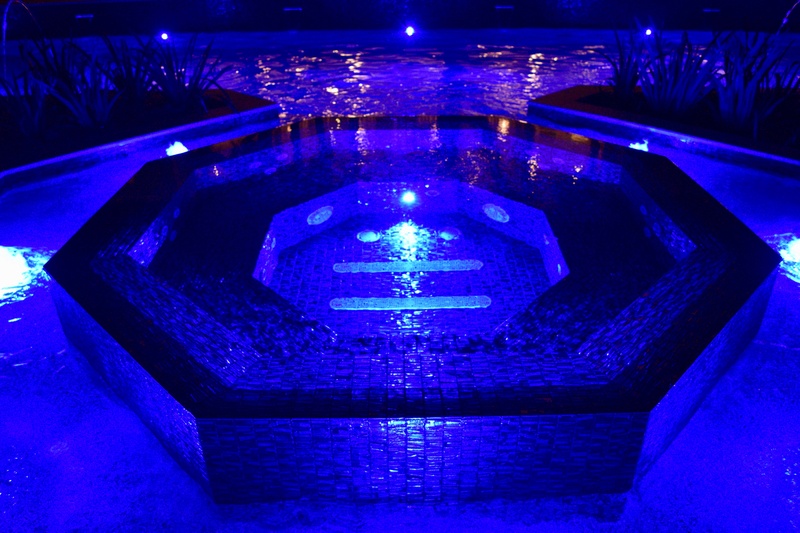 Some LED pool light systems also offer pre-programmed light shows. With the tap of a button on a simple remote control or smart phone app, you can entertain guests. Turn your pool surface into a starry nightscape or display psychedelic dancing color on the surface. Fiber optic pool lighting features can be subtle or striking. The great thing about fiber optic lighting is that it’s also highly energy efficient, so the viewing is all pleasure without the pain of a high electric bill. Lighting will look different depending on the tile in your pool. Dark tiles absorb light, while light-color tiles will reflect it. If you go for LED pool lighting and opt for fixed colors, consider the tile hue when you make choices. We’re speaking about the way light diffuses across the pool surfaces, and this effect is accomplished when you have an adequate number of lights in the pool. Think of it this way: If your pool has two incandescent lights, the light will shine like a couple of headlights in the pool. With more lights, the beam overlaps to create an even swath of light across the entire pool. So, with pool lighting, be careful not to skimp, otherwise you could get a spotlight effect rather than a smooth wash of light. Up-light feature trees and illuminate pathways with a muted glow. Landscape lighting complements pools and spa lighting, while accenting the structural features of plants so you can enjoy the outdoor space long after sundown. There are a lot of options available for pool and spa lighting—and we encourage you to explore the latest LED and fiber optic systems. While the cost upfront might be more than traditional incandescent lighting, you’ll save on energy cost and pool maintenance because the newer LED and fiber optic lights last longer and require less care. Sophisticated pool and spa lighting doesn’t have to break the budget—and it’s an absolute game-changer that will take your pool from beautiful to unforgettable. Lighting triggers our senses and emotions—it sets the tone, and you can change lighting to suit the mood of a party or dial it down to relax and enjoy the pool and views. Check out our photo gallery, and see our pool construction process. 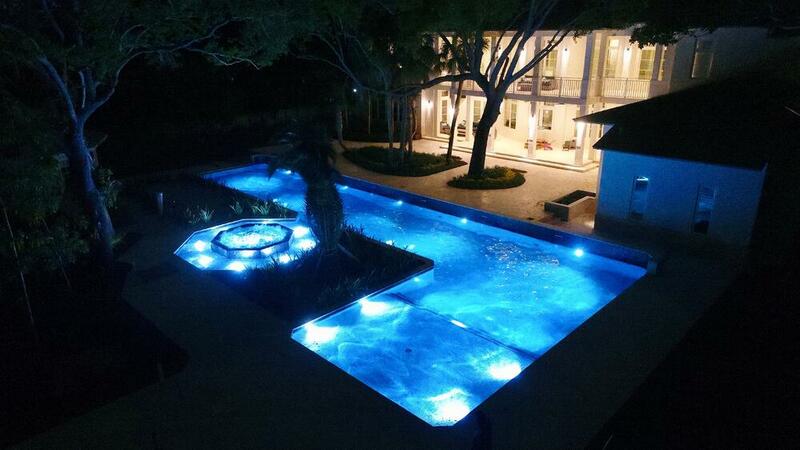 and let’s talk about lighting ideas for your pool and spa. Call us any time at 305-367-2005, or fill out this simple contact form and we’ll get in touch with you.